The digital space is rapidly transforming, and the focus is on quality of content and user-experience. Search engines have become smarter over the years with artificial intelligence, machine learning and big data analysis. Use of obsolete and black-hat approaches will sink your website into the deep dark ocean of SERPs. To avoid this from happening, you’ll need to use credible search engine optimization techniques coupled with up-to-date search engine optimization (SEO) trends that’ll prove successful in 2019. Thousands of websites thrive online with search engine optimization methods, but a few manage to take the limelight among the top ten in the search results page. This means the competition is cut-throat! In such a landscape, it’s critical that startups up their game by constantly optimizing their websites. For you to appear among the top organic results, it’ll be good to create a strategy that pleases your target market. Author Wendy Piersall’s quote fits best here, “Google only loves you when everyone else loves you first.” Once your audience is happy with you, everything else will fall into place. Each year new trends come and from the old trends some are kept while others are discarded. In the coming year you’ll see how video search will revolutionize the way you create content, mobile design will become the focus with Accelerated Mobile Pages project, and blockchain will become a part of technical SEO. It’s all going to be both exciting and overwhelming but the startups that’ll win will be the ones that make wise choices. Related: How Long Does it Take to Rank in Google? There are some businesses who refrain from following the current methods and you’ll notice that such websites look out-of-date. However, there are those who blindly use all that’s at hand and they end up in a chaos. 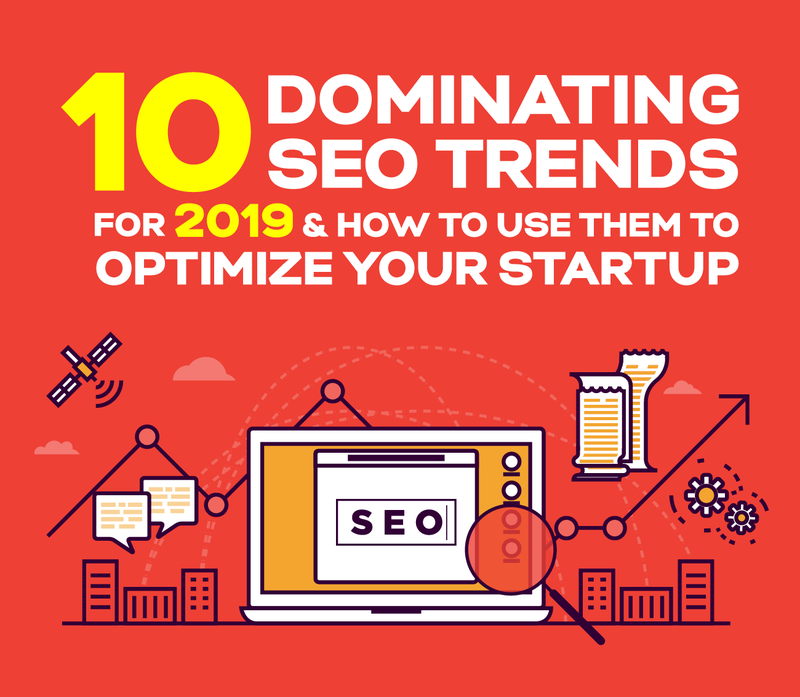 The right way to go about this is to know the latest SEO trends from this infographic by Logo Design Guru for example and focus on ones that help serve your audience and your business. Instead of investing in SEO, many businesses argue that there is no need to revitalize one’s website with trends; but let’s make it clear – SEO can strongly impact your business growth and profits so it’s highly recommended to stay aware and upgraded. Search engines are changing by the minute. In fact, it is notoriously known that Google gets at least 500 to 600 updates every year. From this many go unnoticed and some greatly impact a website’s ranking. The eight major updates include Panda (2011), Penguin (2012), Hummingbird (2013), Pigeon (2014), Mobile (2015), Rank Brain (2015), Possum (2016) and Fred (2017). Now there are more search engines such as Yahoo! and Bing so yes it’s a tough scene but you need to actively participate in it. For each of these updates, SEO professionals and businesses develop plans to stay ahead of the game in their respective industries. New updates in search engines and advancements in technology urge startups to keep evolving and improving. For example voice search devices like Google Home and Amazon Alexa require businesses to include conversational keywords in their content. You see how it’s all related, and if you detach yourself from what’s happening then the future for you is a ride back to stone-age. While the idea of being online is initially to do with reaching international markets, many local startups are using the web to establish and grow their businesses within their vicinity. The dominant search engines have proved to be the most versatile when it comes to local SEO. According to a study by Moz, 64% of marketers agree that Google is becoming the new “homepage” for local businesses. From map to knowledge panel, local startups have many options available that they must leverage to improve their rankings. Well whether your audience is at home or across the borders, search engine optimization is necessary and SEO trends help you to take your website or blog to another level. You don’t want to be just another fish in the ocean, you want to stand out and become an influencer and a trend-setter. Want to learn the tricks of trade for 2019? Here’s a handy infographic to gear yourself with the needed trends and tactics for next year. Read Next: What Google Analytics Reveals About Your Website (infographic).